Being charged with any drug crime is a serious matter that can result in a prison sentence, substantial fines, and a permanent criminal record. Drug charges can be brought in both state and federal court. 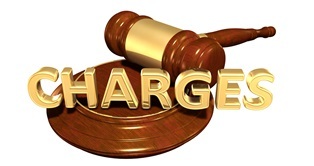 The laws and consequences for being charged with a drug crime vary in each court. However, with the help of a criminal defense attorney who has experience defending people in both state and federal courts, you may be able to have the charges against you dismissed or reduced to a charge with much lesser penalties. What Are Important Differences Between Federal and State Drug Charges? Charges. One of the major differences between federal and state drug crimes is the type of charge a person will face. For example, in the Commonwealth of Virginia, a person is more likely to be charged with possession of a controlled substance, which can carry much less severe penalties than other offenses. If a person is charged with a federal drug crime, he is likely to be accused of trafficking—a much more serious offense than simple possession—or other more serious offenses. Penalties. Another major difference between state and federal drug crimes is the penalty. A conviction of the same crime under federal law instead of Virginia law could carry double or triple the prison sentence. Drug crimes are often misdemeanors in Virginia. However, even a first offender convicted of a federal drug crime could face a lengthy prison sentence. Many federal drug crimes come with stiff mandatory sentences. In addition, when a person is charged under federal law, he may be also charged with and convicted of other offenses, such as tax evasion or racketeering, that also come with harsh penalties. Investigation. While the police have broad authority to investigate crimes committed in Virginia, they are generally limited to investigating crimes that occurred within the state’s boundaries. Federal investigators are not limited to investigating crimes that happen in one state, and their investigations can involve large-scale criminal operations. Court system. If you are charged with a crime under state law, your case will be governed by state laws and criminal procedures, and your case will be decided in state court. A federal charge will be prosecuted under federal law, and federal criminal procedural rules would apply. In addition, the case would be decided in a federal court. Possession. This crime is the knowing possession of an illegally controlled substance or a legally controlled substance without a prescription. Possession with intent to distribute. This crime is a form of drug trafficking that a person can be charged with when he is found with a large quantity of an illegal drug that was not just for personal use. Cultivation or manufacture. This crime includes activities such as growing marijuana, making meth, and processing cocaine or heroin. Even just the purchase of ingredients or equipment to cultivate or manufacture a drug can fall under this crime. Distribution and trafficking. A person could be accused of this crime for delivering, providing, selling, or transporting an illegal controlled substance. Continuing criminal enterprise. This crime involves a more large-scale drug operation, such as a drug cartel. Conspiracy. Conspiracy charges can be brought for illegal activities that surround and support drug trafficking, such as transporting drug money. Whether you are charged with a federal or state drug offense, you need the help of an experienced criminal defense attorney. Review our case results to see how we have helped other clients facing criminal charges and then call our office to schedule a free consultation.